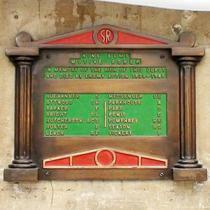 In memory of the men of this depot who died by enemy action, 1939 - 1945. 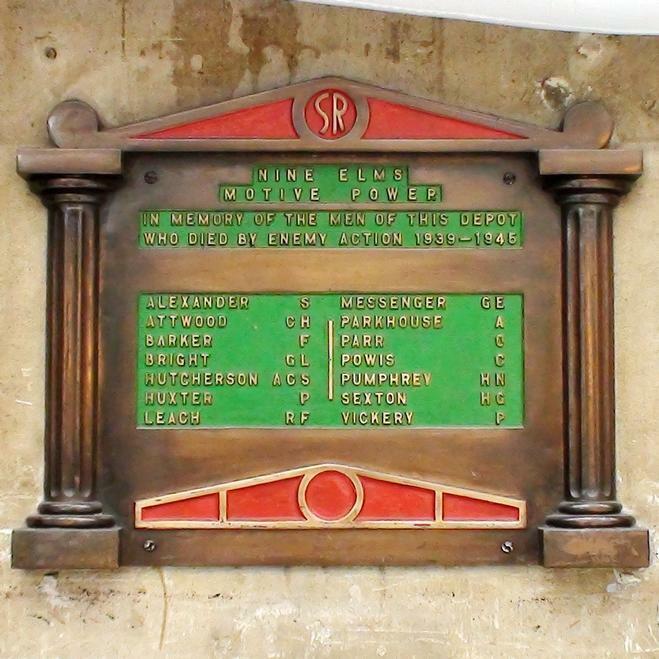 Southern Railway (SR on the plaque) lost their ownership of Waterloo when the railways were nationalised in 1948 so the plaque was probably erected sometime during 1945 - 48, at the depot and moved here after the depot closed in 1967. A beautifully engineered plaque. 221b Sherlock Holmes, consulting detective, 1881 - 1904.